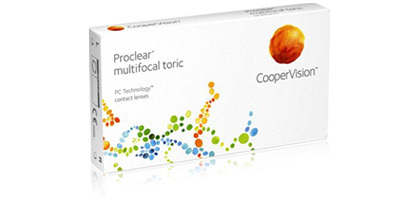 From leading optical experts CooperVision, Proclear Multifocal Toric lenses are the only monthly disposables currently available that correct both astigmatism and presbyopia. These pioneering contact lenses are available in a wider than usual range of powers, from -20.00 to +20.00. You've also got the option to select reading additions from +1.00 to +4.00. If you're tired of relying on two sets of glasses and want something that supplies excellent clarity of vision across all distances, these soft toric lenses are an excellent place to start. Two distinct technologies work in harmony to supply crystal clear vision and all-day comfort. 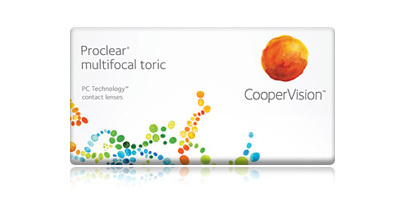 Proclear Multifocal Toric lenses feature CooperVision's exclusive Balanced Progressive Technology and their patented phosphorycholine (PC) Technology. 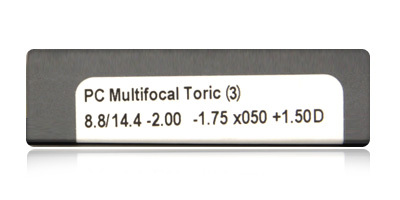 The former corrects astigmatism and presbyopia conditions by combining two different types of lens. There's a lens for the dominant eye and one for the non-dominant eye. Whether you're reading a book in low light, viewing a sign in the mid-distance or looking at an object far away, you'll experience clear, sharp focus and freedom from blurriness and squinting. Any questions? Contact us on freephone 0800 037 4000. Choose from a range of delivery options, including express delivery. 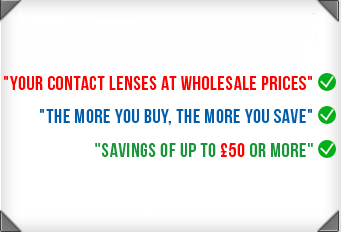 98% of Contact Lenses Express orders are shipped the same day.